U.S. Army 2018 Year in Review | Command and General Staff College Foundation, Inc. 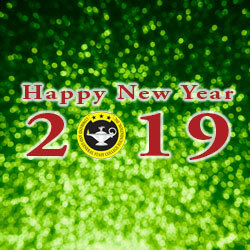 The CGSC Foundation board of directors and staff would like to wish everyone a happy and prosperous new year. Please enjoy the U.S. Army’s “Year in Review 2018″ video below. I’d love to see c-span-style videos of your conferences, seminars, and lectures – PLUS get your booklist and other curricula that I could not only keep up with, but also see and learn about your professors/instructors with a view to reaching out to them on the subjects I’m covering in three forthcoming books and in many articles. Do you send out syllabi, book-lists, and conference proceedings? Many thanks, JFS (Basic @ Ft. Knox, KY, D-15-4, 1984).